Contact Market Manager Lori Goodman at 336-877-5052 or send an e-mail to lgoodman@skybest.com to learn more about our Market and how to apply. Interested in becoming a vendor at our Market? Here are some things you should know…..
All arts and crafts must be juried prior to sale and you must be a resident of Ashe County. Jurying is typically an annual event held in March. Our next jury date will be in March of 2017. Arts and crafts guidelines are in our Policies and Procedures. See Vendor Forms. The Board of Directors makes the final determination regarding which new vendors will join our market following the jury process. We are always seeking new growers and producers who reside in one of the following counties: Ashe, Watauga, Alleghany, Grayson County, VA and Johnson County, TN. All produce must be grown by the vendor. Absolutely no resale of any product is allowed. We currently do not have any space under our shelter, however, we do have room on what we refer to as our “grassy area” where you can join other vendors who ‘bring their own shade’. Before you can sell, you must complete all the vendor paperwork and pay a $50 member fee. Drop in rates are $10.00 each Saturday you sell. We also have a Wednesday Market beginning July 6. Vendors must arrive by 7:30 and stay until our 1:00 pm closing. For more information contact Market Manager Lori Goodman at (336)877-5052. 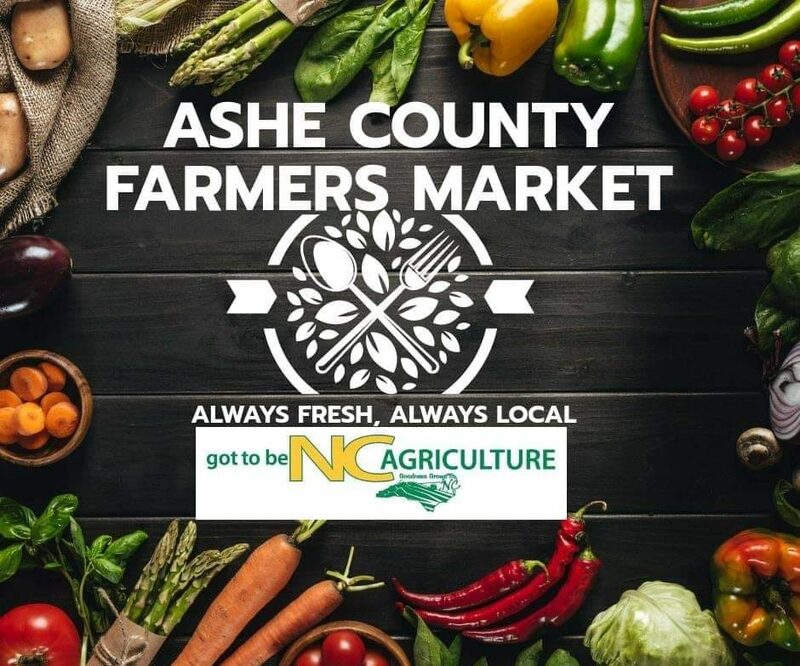 The Ashe County Farmers Market Policies and Procedures have been revised effective March 2016 and are now available on the Website under Vendor Forms. Current and new vendors should familiarize themselves with these new policies, which will also be available in hard copy at the High Country Seed Swap and Market Expo Saturday, March 12 at Family Central in Ashe County.